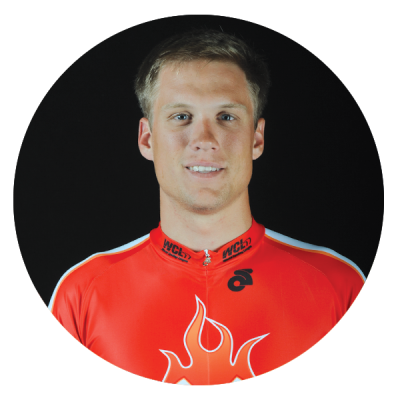 Originally from Indianapolis, Guy East started racing as a junior in 2000 and has been competing as a professional at the international level since 2009. His love is track racing and, in 2009 he won the prestigious UIV Talent Cup for the best under 23 riders on the Six Day circuit, launching his career in the rough and tumble indoor track racing world. Since then he has competed in nearly 30 countries on four continents including in 16 professional 6-day races in Amsterdam, Berlin, Rotterdam, Fiorenzuola, Grenoble and Copenhagen. In 2011 East retired from cycling and established residence in Tijuana, Mexico to pursue his Christian calling to make an impact on the world by serving the underprivileged and secondly, to encourage athletes to live for a greater purpose and with a heart of service. He created Hope Sports and partners with Homes of Hope to build houses for the poor throughout Mexico and Latin America. With cycling in his blood, East’s retirement was short lived so he answered his athletic call by returning to the indoor boards of Amsterdam and Rotterdam in 2013 and now combines top level racing with his unrelenting mission to create a better world for those in need. Known as a savvy, dependable rider, East will be fresh off the Copenhagen Six and will use his experience and legendary endurance to lead the talented Heat.